I had a Lotus Elise S1 when it came out, but have lusted after an Elan since I was a kid. I can justify one classic car. Has to be fun, not too expensive to maintain with at least a prospect of rising in value. 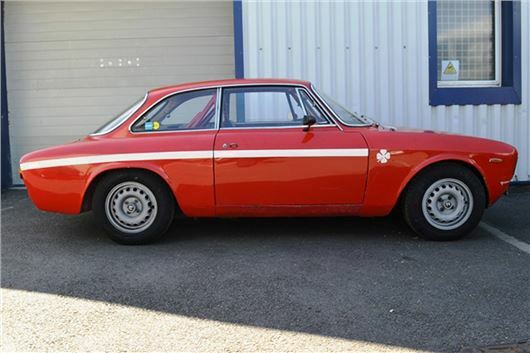 Have been going round in circles having looked at everything from Alfa 105 GTs through Porsche 964s to Range Rover CSKs. Consumer terror. In July 2014 I purchased a 2006 Ford Street Ka to use as a second, fun car in good sunny weather which, so far, I have been extremely pleased with. It has one annoying problem that I hope you can help me solve. The N/S front headlamp has a lot of condensation inside it that obviously causes it to give poor light. The car passed its MoT and it was not listed as an advisory item. Can you advise me of a way to get rid of the condensation? As far as I can see the lamp does not appear to have any cracks or chips in the glass but I haven't yet tried to remove it from the vehicle for a more detailed inspection. Any advice would be much appreciated. Many thanks for your very interesting column I always look forward to reading it each week. Take it off, dry it out thoroughly with a hairdryer, then reseal the joint between the lens and reflector with silicone. Or just throw it away and get another either new or used from a spares specialist. I really like my Honda Jazz but am being driven to distraction by the upholstery. Every tiny thing sticks to it and is very difficult to get rid of. Is there anything to treat this wretched upholstery? I have a 2010 Land Rover Discovery 4. When I try to accelerate after slowing to walking pace, nothing happens. I have either to lift my foot off the pedal and start again, or floor it. Any ideas? Possibly needs a new accelerator pedal switch. Are the Citroen C3 Pluriel and C3 Picasso based upon the same undercarriage, i.e. the same wheelbase, etc? I recently bought a C3 Picasso diesel which I really enjoy and as I like to buy things in pairs I think I’d like to have the 1.6 C3 Pluriel, which has 4 wheel disc brakes, auto and great utilitarian uses, for around town and runs on gasoline, as I’m sure you know. Also doubling as a ‘sports car’ on sunny days with its’ removable top bits. Is it too much to expect it to be the same car underneath as the C3 Picasso? The Pluriel is an older model than the Picasso, based on the original C3. The C3 Picasso has a completely different floorpan. The 'auto' of the Pluriel isn't. It's an automated manual and can be a lot of trouble. And Pluriels leak, which isn't too bad as long as you are expecting it. But some owners will have filled up the joints between the A Pillars and the side loops with tar, making them difficult to remove. And, of course, leaks mean rust, so check the floorpan carefully. I have owned a 2011 BMW F10 520DSE from new. Prior to my last service at 44,000, the oil level indicator, shown by the diagram on my led screen (I have no dipstick) was showing too high. I told garage at service time of the problem and they said no problem found and that sometimes it can be overfilled quite easily. This problem was not like this until long after the service before and I have never put a drop of oil in the car. Last week, I checked the oil level on the screen again and it is again showing the level is too high. I have not put any oil in. What could the problem be and is there any other way of checking the oil level? A likely reason is that the Active Diesel Particulate Filter regeneration system is not functioning correctly. This injects more diesel fuel into the engine to effectively create a fire inside the DPF and burn off any accumulation of soot. If that fire cannot ignite because the DPF is too clogged with soot, the extra fuel injected into the engine sinks into the sump, raising the level of oil in the sump. Too much of this is extremely dangerous because once the lube oil in a compression ignition engine gets too high, the engine will start running uncontrollably on its sump oil and will self-destruct. I was very impressed with the Skoda Octavia 1.4TSI 150 auto on a test drive, with the auto incorporating a paddle shift. I know that you have previously expressed concerns about this gearbox. Have the problems been resolved? Not completely, no. Mainly because the 7-speed dry clutch DSG transmission was designed to be maintenance-free and as such was filled with synthetic oil on the production line. In certain very hot conditions the synthetic oil became conductive, shorting out the Mechatronics and leading to loss of drive so there was a worldwide recall to replace it with mineral oil that would itself need to be replaced every 3 - 4 years, but owners don't seem to have been told this. There are other problems with DSGs, such as occasional loss of drive for a second or two when emerging from a side road or onto a roundabout due to a self0protection system involving the brake pedal switch that can momentarily stick. This is an excellent engine, but stick to the manual. My 6-month old Golf 1.6TDI has two annoying faults. Firstly, the rear camera does not always have a picture on the screen, although the VW cover has operated. Secondly, the clock loses time over the course of a few days and has to be adjusted. I do not have navigation, so cannot set it to GPS. Any ideas, or do I visit the dealer? The camera might not be working due to a fault with the reversing light switch that also switches it on, or an earth fault with the camera itself due to moisture. It could even be dirt splashed over the camera lens. The clock losing time will be a plain electrical fault. Because of typical low battery symptoms i.e. not spinning the starter motor fast enough to start the engine of my 2.4 diesel Transit, I fitted a new battery – to no avail. In fact there was nothing wrong with the existing battery at all. I cleaned up the chassis earth connection from the negative battery terminal and even strapped that terminal to the recommended earth point on the engine but still no joy. If, however, I jump start the engine by using the positive under-bonnet connector and earthing point the vehicle starts perfectly, which suggests no starter motor fault. Both my main agent and auto electrical firm can only suggest renewing all components until they cure the fault. Any suggestions? Nothing to do with spinning the engine fast enough and everything to do with lighting up the glowplugs, which is necessary to start a cold compression ignition engine. So something wrong with the wiring between the key switch and the glowplugs. My 1989 BMW 318i Touring with 110,000 miles has failed its MoT for the first time. It needs about £800 spent on shocks, ant-roll bars and welding of the sills. Time to scrap or give it one more throw of the dice?